A huge thanks to everyone who took part reading "Carrie", and to those people who stopped by for the live chat too. The numbers weren't humongous, but I quite enjoyed that as it meant we could have a nice informal chat and it wasn't complete chaos with so many people speaking at once. Anyway, enough of "Carrie", we're moving on! 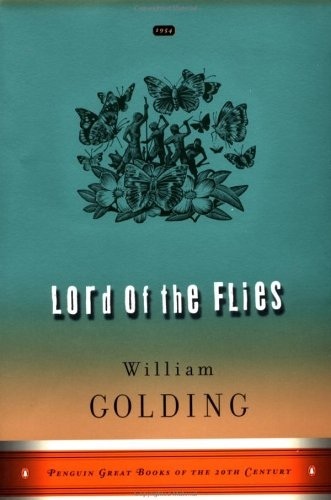 On September 1st, we begin the read for "Lord of the Flies", by William Golding. I did mention this at the beginning of the "Carrie" read, so now I hope everyone has had enough time to source a book. This read time should last September 1st to the 20th. However, if you haven't got the book yet, or if you're new to the book club, IT IS NOT TOO LATE! You've still got just over a week to get yourself a copy, and you can find it on all good websites, like Amazon (USA). If you'd rather not buy the book, you can always borrow it too. Check out this site for library locations in the United States. International peeps, you can always use your regional Amazon, or your own local library! Once you've got the book and reading time begins, discuss the book at our Forums here. On the 20th, there will also be another live chat, 2pm EST / 7pm BST. Hope to see you on the Forum and on the Chat! Is it immature to moan? What do Lost fans actually want in an ARG?